SurveyCalc has RPN functionality similar to the popular HP calculators. 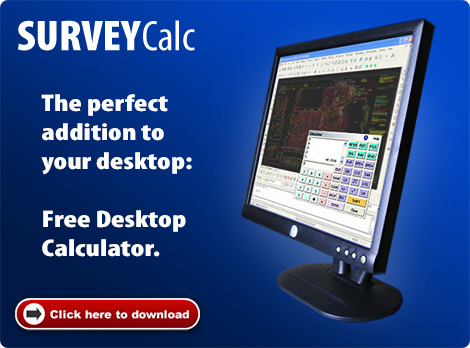 With its easy unit conversion for linear distance or angle conversions and its simple interface, SurveyCalc is the perfect addition to your desktop. MicroSurvey Calculator is designed for use with Windows 98, Windows ME, Window NT (4.0SP5+), Windows 2000, Windows XP, Windows Vista, or Windows 7.